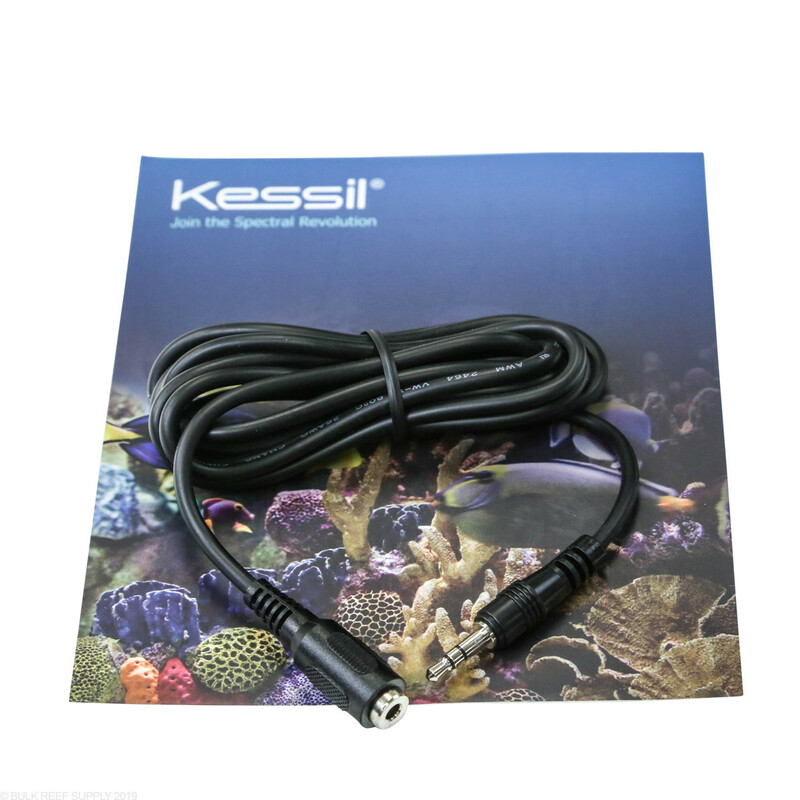 Use the Kessil A360 Control Extension Cable to either extend the connection between two Kessil 360 (A360N/360W) LED lights or one Kessil 360 (A360N/360W) LED light and a controller. What you would expect from kessil . 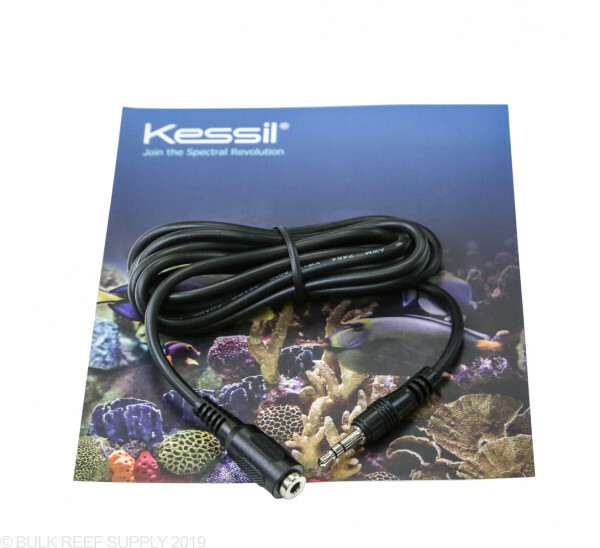 I have a 48" tank with 2 360's spaced 24" apart with hard mounts, to conceal the cables in the hollow tubes You will need this extension with the 5' or buy the 20' and deal with the xtra wire . Buy the 20 for the controller , I made the mistake and had to buy an extension for that too. Nothing special its a cable. I found it was needed and worked out great. My Apex controller is out and away from my tank and stand. This product extended my reach perfectly. The extra control cabling to run my Kessil 360s to my Apex was perfect! My control system is located in a wall cabinet away from my aquarium so the extra length suited my needs perfectly. 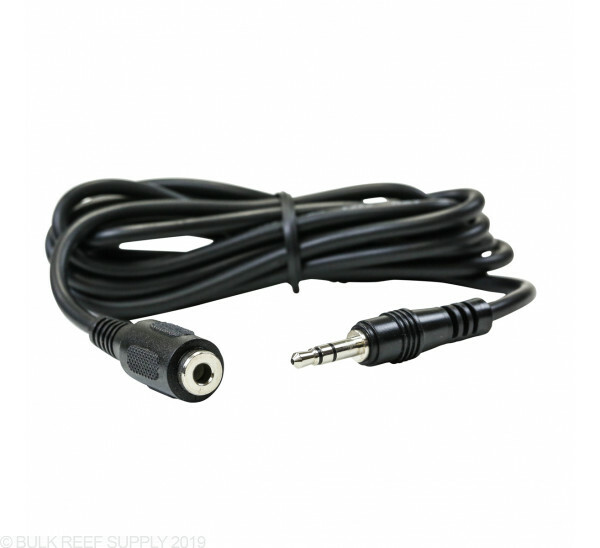 A must-have for remote stations or larger tanks! Would I need two of these to hook two lights up to the apex? Should just need one. The first light connects to the second light. The second light then connects to the VDM port on the Apex via the Apex to Neptune cable.